No students were on a school bus involved in a crash on Route 35 in Middletown earlier this morning, township school officials said. The crash, involving a school bus and a tractor-trailer, occurred in the southbound lanes near the Middletown Shopping Center shortly before 8:00 a.m., according to 511nj.org. Firefighters extricated the bus driver, and a medevac transported the victim to Jersey Shore University Medical Center in Neptune, police said. The extent of injuries was not immediately known. A tweet from the school district said that the bus was not from the township. The southbound lanes remain closed as of 9:00 a.m. for a police investigation. 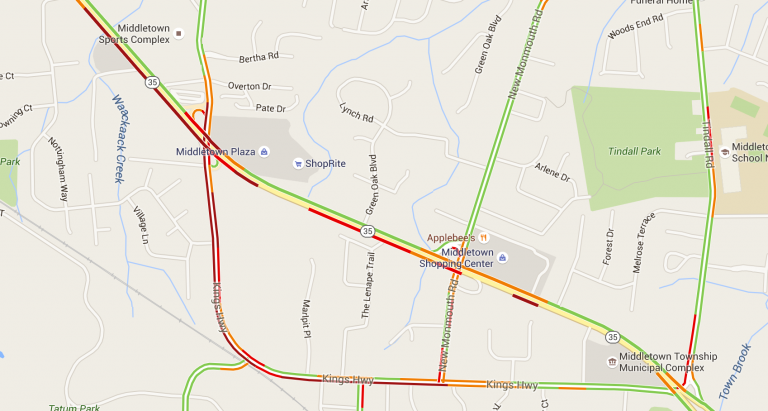 Traffic is heavy on all connecting roadways, according to Google Maps.